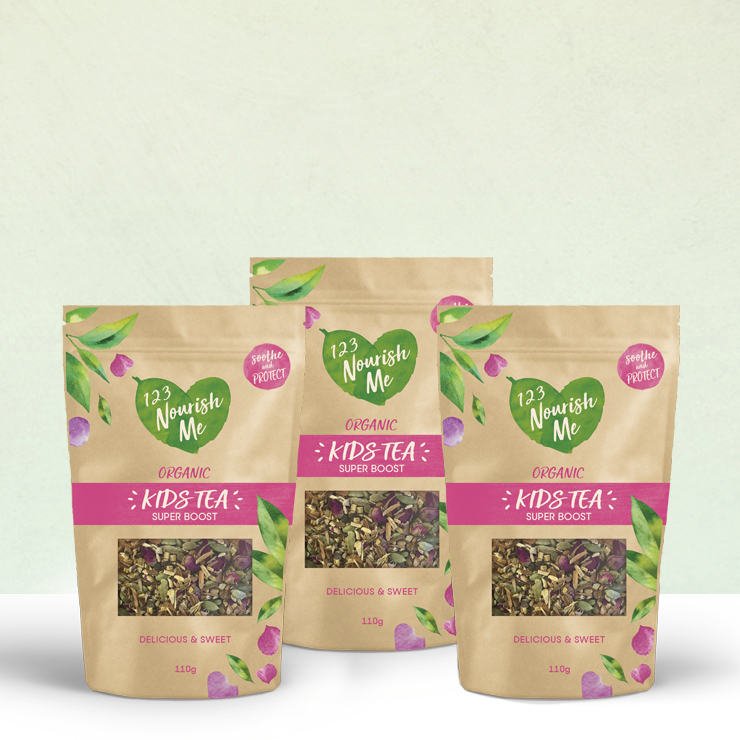 Due to multiple requests – we’ve tripled our super sweet, kids tea. My boys LOVE this tea! I’ve got them trained so well now, that they know to ask for some at the first sign of a sniffle or sore throat. And the best part is, there’s no need for sugar or honey! My kids LOVE this tea! I’ve got them trained so well now, that they know to ask for some at the first sign of a sniffle or sore throat. And the best part is, there’s no need for sugar or honey! 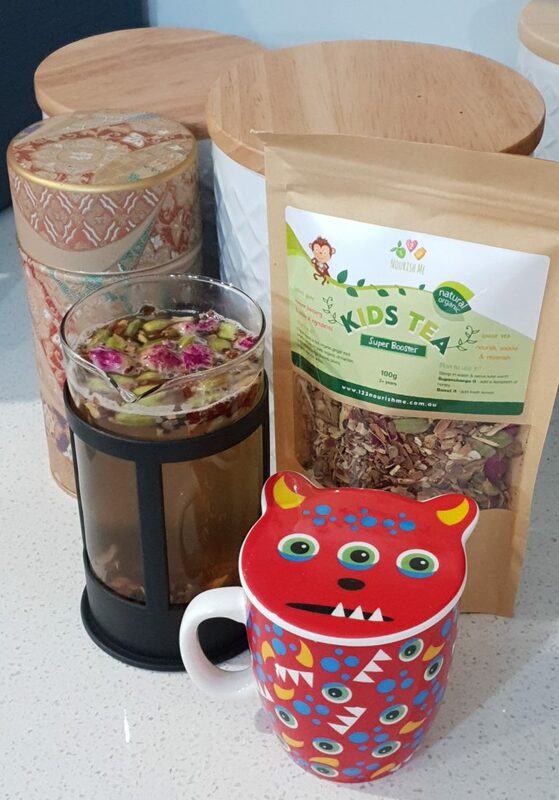 My little boy loves this tea, always has at least 2 or 3 cups of a morning! And I love knowing it’s so good for him. Looks divine, and tastes just as good. We add a little honey and lemon for a nice boost. What more can I say than “dicious” (delicious) as my almost 2 yr old said when she tried it today. So much goodness in one cup. Tastes devine and so, so good for you. I initially bought this for my fussy eating 4 yr old to help give her a little bit of an immunity boost over the cold and flu season and was a little weary as to how she would take it, but she instantly fell in love with the taste. Now the whole family is hooked. I enjoy a cuppa myself of a night time to unwind. Very calming. Yum!